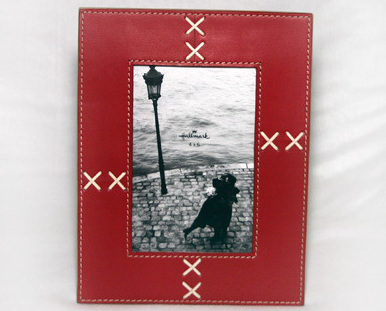 This red leather styled frame is accented with stitching around the sides. It has a glass cover and a leather styled easel back. Frame is made by Hallmark and holds a 4x6 photo.